The NGSS provide the framework for all of our new Edmentum high school science courses. Each standard has three primary facets: disciplinary core ideas (DCI), science and engineering practices (SEP), and crosscutting concepts (CCC), which collectively make up the performance expectations (PE). Additionally, the Courseware team referred to individual state standards to provide a robust, accessible curriculum. Our Chemistry course follows a 4E × 2 instructional model for teaching science. This method helps students engage, explore, explain, and extend scientific ideas. The “× 2” indicates that assessments and student reflection are threaded throughout the instruction. All of our high school science courses support scientific inquiry using physical lab experiences. In Chemistry, students can explore chemical reactions firsthand before receiving direct instruction about them. Each semester has approximately six labs. Most of the labs require household goods, but several give students the opportunity to work with scientific equipment. Teachers can purchase Edmentum’s Chemistry Kit, which includes a pocket mass balance, graduated cylinder, test tubes, flasks, and chemicals, among other materials. We’re proud that our Edmentum Lab Kits are supplied by Ward’s Science. Concepts in chemistry can be challenging, as students try to relate the subatomic structure of a substance to its macroscopic properties and uses. The course provides several ways for students to visualize, model, and explore interactions in an atomic-scaled world. 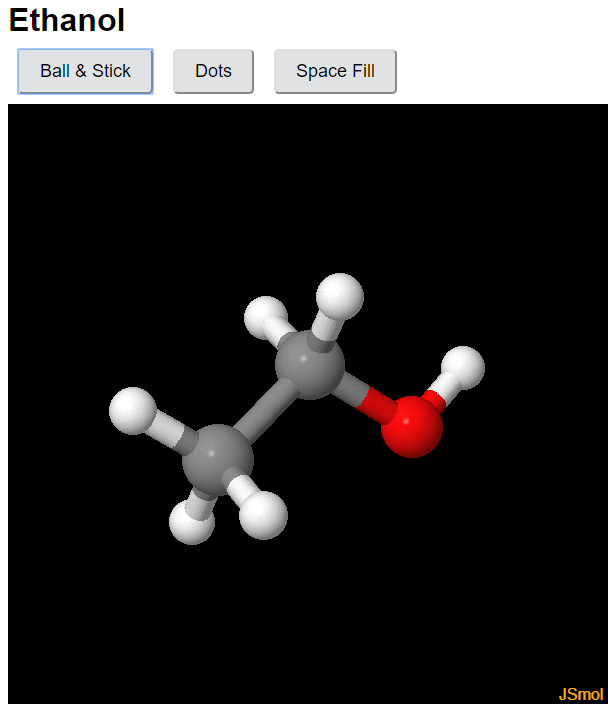 JSmol is an open-source molecule viewer available on the Web and used in our Courseware. Students can dynamically rotate molecules to see bond types and relative sizes of atoms and bond angles. The previous and following images are all screenshots of the Chemistry course. The Edmentum drawing tool lets students practice drawing Lewis structures (dot diagrams) and skeletal formulas for substances in an open-ended environment. 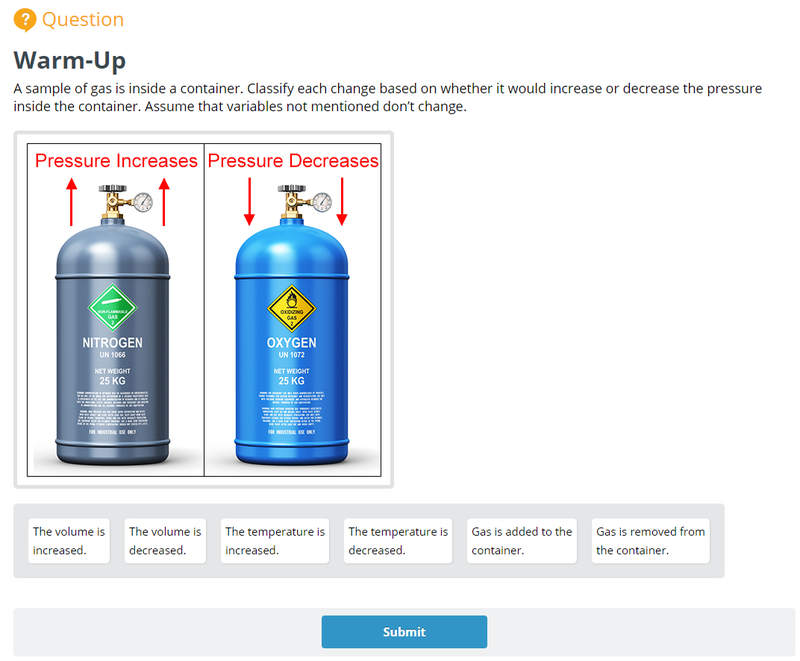 Like our other high school science courses, our new Chemistry course uses PhET simulations from the University of Colorado Boulder. 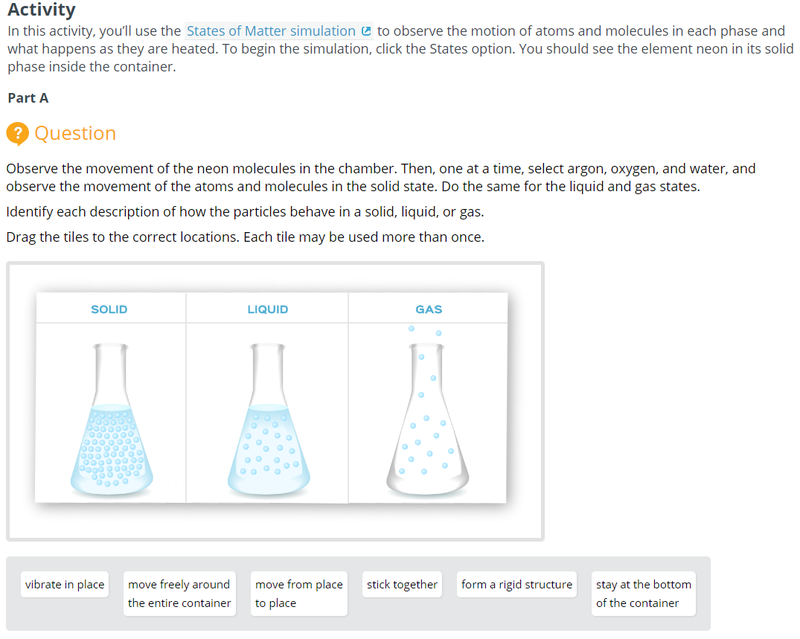 The chemistry simulations include balancing chemical equations, reversible reactions, reaction rates, gas properties, molecule shapes, concentration, acid-base solutions, pH scale, states of matter, and atomic interactions. The Chemistry course provides a variety of print resources that students can access as they work through the lessons. These include a comprehensive math review, an interactive periodic table, rules of significant figures, solubility rules, and common polyatomic ions. Each resource is a click away, located inside the content and in the student resources menu. Each chemistry lesson has at least one video to illustrate chemistry concepts or procedures. Videos cover topics such as nuclear fusion, enthalpy calculations, and the workings of voltaic and electrochemical cells. 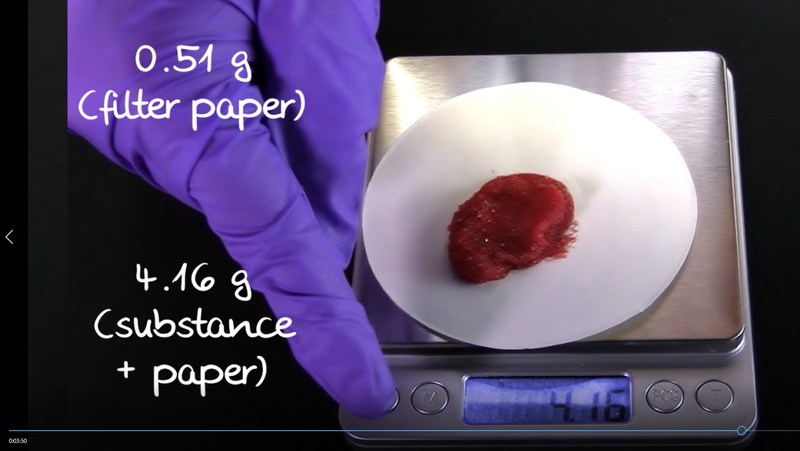 To assist students with certain labs, videos are included on measuring mass using a pocket scale and measuring volume using a graduated cylinder. Labs (course activities) are one way that students practice scientific inquiry through physical experiences. But, students also practice inquiry virtually in lesson activities. They might explore an online simulation, analyze a current science article, or discover trends in the periodic table. When we interviewed science educators about lesson activities for chemistry, they expressed concern that constructed-response (CR) questions can sometimes leave even the most industrious students feeling intimidated. Open-ended questions can be difficult to grade or to judge student completion. 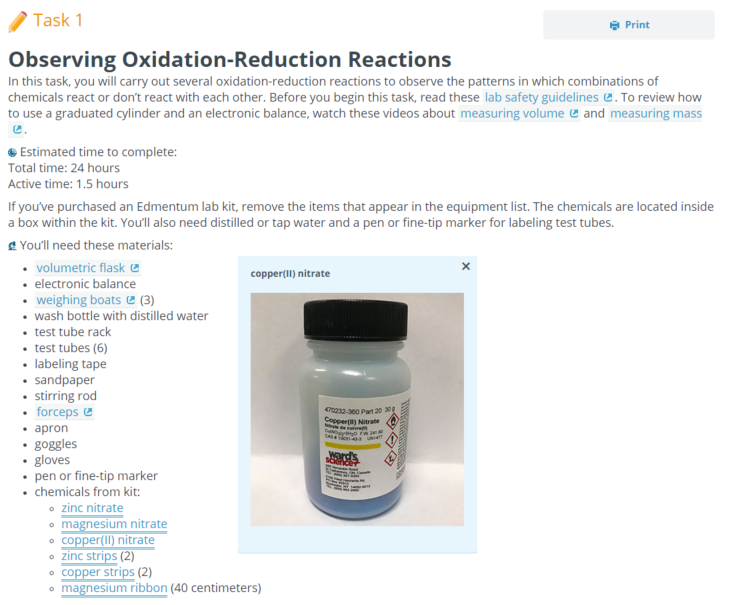 So, to the extent possible, all of the lesson activities in the new chemistry course use judged technology-enhanced (TE) items. Each chemistry lesson also has a warm-up at the beginning that probes prior knowledge to prepare students for the new content that’s ahead. Warm-ups represent one way to engage student interest and build confidence in topics previously learned. They are designed to be low-stakes interactions. One of the goals of our science courses is to pique student interest in STEM professions and in science beyond the classroom. 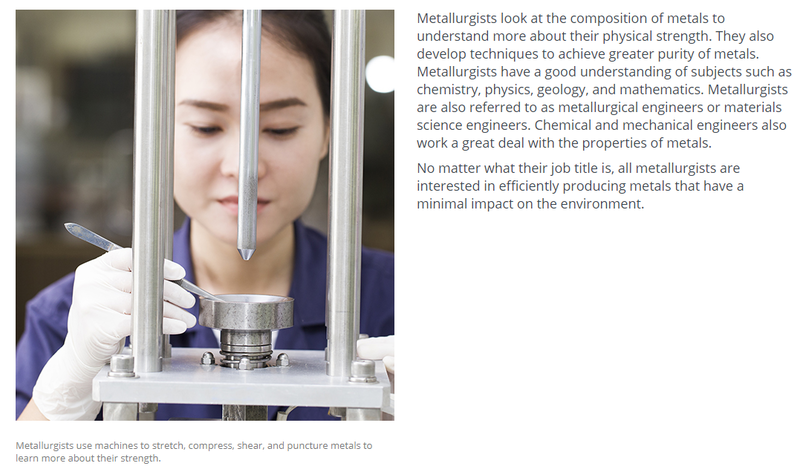 Our new Chemistry course highlights careers in chemistry and recent topics in science through the Careers in Science and Science in the News sections, respectively. Nearly half of the tutorials in our new Chemistry course contain either one of these special sections. Careers include forensic science, metallurgy, and water-quality testing. Edmentum licenses science news articles from the Society for Science & the Public (Science News). If you want to learn more about Edmentum’s high school science offerings, check out this blog post about our Biology and Earth and Space Science courses!